Congratulations to our newest SCJ members at Virginia Wesleyan University. 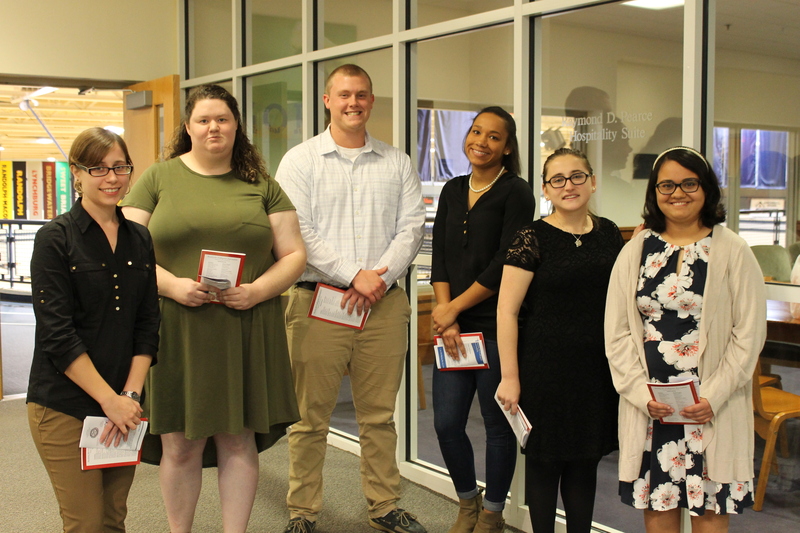 The VWU chapter inducted seven new members on December 8. Newest member of the Virginia Wesleyan University chapter. From L to R: Mickella Rast, Julie Ainsley, Luke Chaisson, Amanda Archer, Ashley Kline, and Farah Haidari. The keynote speak was John Henry Doucette. Mr. Doucette worked as a reporter at The Virginian-Pilot and the Times Herald-Record in New York. His freelance journalism has appeared in Parade Magazine, New York Newsday and The New York Post. In 2015, he founded The Princess Anne Independent News, a community newspaper that covers southern Virginia Beach and Knotts Island, North Carolina. The newspaper has been recognized for its reporting and photography by the Virginia Press Association and for its coverage of the local agriculture industry. Mr. Doucette spoke about the value of local news and how his liberal arts degree his impacted his views of journalism. President Scott Miller, along with Provost Tim O”Rourke and the communication faculty were in attendance for the ceremony. Thanks to chapter adviser Lisa Lyon Payne for this photo submission.